A concise overview of our coverage of the announcement that rocked the high-def format war. After months of rumors, Warner Home Video has announced that it will drop its support of HD DVD, and will exclusively back the Blu-ray format. In a press release issued Friday, the studio said it would continue to release titles in both formats through May of 2008, with its HD DVD releases following its Blu-ray releases to stores by "a short window." Beginning June 1st, the studio said it would cease release of any new HD DVD titles. Warner Bros. subsidiary New Line has since confirmed that it too will shift to Blu-ray exclusivity. At press time it was unclear what effect Warner's decision would have on titles released under the HBO or BBC Video labels, both of which are distributed by Warner. Warner's decision gives Blu-ray a decided advantage in studio support over HD DVD, leaving only two (of the six) major studios in the HD DVD corner -- Universal and Paramount/Dreamworks. 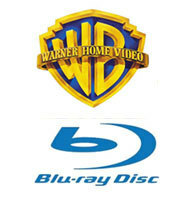 Widely acknowledged as the most aggressive supporter of high-def disc among the major studios, Warner had previously been a vocal champion of dual-format support (even going so far as to back a proposed dual-format disc), but execs began hinting several months ago that the studio was considering a change in strategy, and would be closely monitoring sales for both formats through the holiday shopping season. In its announcement Friday afternoon, the studio stated that early adopters had "clearly chosen Blu-ray," but that confusion over the two formats had kept either format from reaching mass adoption. "The window of opportunity for high-definition DVD could be missed if format confusion continues to linger," explained Warner Bros. CEO Barry Meyer. "We believe that exclusively distributing in Blu-ray will further the potential for mass market success and ultimately benefit retailers, producers, and most importantly, consumers." In a post-announcement conference call, Warner Home Entertainment President Kevin Tsujihara flatly denied rumors that the studio had accepted anywhere from 250M to $500M in exchange for dropping its HD DVD format support. "The packaged media business is a $42 billion dollar business worldwide at the retail level, and we [Warner] have the largest market share of anybody," said Tsujihara. "From our perspective, the most important piece of this whole puzzle is, "How do we get growth back into this category?" That far outweighed anything else." The timing of Warner's announcement clearly caught the HD DVD camp off-guard. In a statement issued Friday afternoon, chief format-backer Toshiba said it was "quite surprised" by the move, referencing "various contracts in place between our companies concerning the support of HD DVD."